Madison OOH walked away with three golds and 10 metals in total, while DDB Mudra Group won six. Posterscope, Rapport Outdoor Advertising, Atin Promotions & Advertising, and Tribes Communication won three each. The Outdoor Advertising Awards (OAA) 2017 show, held at the Renaissance Mumbai Convention Centre Hotel, Powai, Mumbai on July 29, turned the spotlight on the best works that were executed on the Indian OOH landscape during the period April 1, 2016 to March 31, 2017. Madison OOH walked away with three golds, 10 metals in all, while DDB Mudra Group won six metals. Posterscope, Rapport Outdoor Advertising, Atin Promotions & Advertising, and Tribes Communication won three each. In all, 52 metals were awarded. Under the 'Brand' categories, DDB Mudra Group won the bronze for the 'PNBHFL PNB Housing Finance Ltd' entry in the 'Financial Services' sub-category. In the 'Media & Entertainment' sub-category, two silvers were given away - the first went to Dainik Bhaskar for the entry 'Bhaskarmay Simhastha: A brand makes its mark at world's largest congregation Dainik Bhaskar'; and the second to DDB Mudra Group for the 'Dil Hai Hindustani Star Plus' entry. In the 'Automotive' sub-category, Madison OOH walked away with the gold for the entry 'Whatever it Takes and More - Tata Motors - Hexa'. In the 'FMCG' sub-category, the silver went to Rapport Outdoor Advertising for the 'First ever Geo-Fencing experience in OOH Fair & Lovely Powder Cream Launch' entry. Posterscope picked two bronze metals, for the 'Frooti Fizz - Optical OOH! Frooti' and 'Mahapack On the Go! Cadbury Dairy Milk' entries. In the 'Consumer Durables' sub-category, the bronze went to Madison OOH for the 'Not too hot. Not too cold. Precision cooling... your way! Bluestar' entry. In the 'Real Estate & Construction' sub-category, Madison OOH won silver for the 'Waterproofing expert - Dr. Fixit' entry and bronze for the 'Apex Ultima Protek - Asian Paints' entry. In the 'Travel & Hospitality' sub-category, Tribes Communication won bronze for the 'MakeMyTrip Assured - MakeMyTrip.com' entry. Madison OOH won the gold for the entry, 'Condom - Ek Achi Aadat - NACO' in the 'Public & Social Service' in the 'Public & Social Service' sub-category. DDB Mudra Group won the silver for the entry, 'Download Hotstar' in the 'Others' sub-category. Likewise, Tribes Communication won silver for the 'Unbox Diwali Snapdeal' entry. The bronze went to Rapport Outdoor Advertising for 'Amazon - Marries Digital & OOH to bring Diwali cheers to 50k underprivileged children - Amazon' entry in the same category. Under the 'Campaign of the Year' category, Madison OOH bagged the silver for the 'Whatever it Takes and More - Tata Motors - Hexa' entry, as well as bronze for the 'Unbox Zindagi Snapdeal' entry. The second bronze went to Dainik Bhaskar for the 'Maharashtra Swatantra Vichaar (Independent Thinking) Campaign Dainik Bhaskar' entry. Under the 'Media Plan of the Year' category, two silvers were awarded in the 'Media Plan of the Year - Local' sub-category - one to Priya Communication for the 'Media Plan for Brahmaputa Literary Festival' entry and the other to Ecosys OOH for the 'Ola Outstation Ola Cabs' entry. The bronze went to Madison OOH for the 'Kerala Onam Raymond' entry. Posterscope won the gold for the 'Frooti Fizz - Optical OOH! Frooti' entry in the Media Plan of the Year - National' sub-category, while two silvers were awarded - one to Rapport Outdoor Advertising for the 'Amazon-Marries Digital & OOH to bring Diwali cheers to 50k underprivileged children - Amazon' entry and the other to Ignite Mudra for the 'Honda Activa Honda Motorcycle and Scooter India' entry. In the 'Special Categories', two golds were given in the 'Innovation of the Year' sub-category - one to Priya Communications for the 'Blind date with a Book - The Brahmaputra Literary Festival 2017, Guwahati' entry and the other to Madison OOH for the 'Signalling a better tomorrow! NACO' entry. The bronze went to Interspace Communications for 'The Best Sign Standard Chartered Bank' entry. DDB Mudra Group bagged the gold for the 'Hotstar - Toilet Hotstar' entry in the 'Best Use of Ambient Media' sub-category. The bronze went to Madison OOH for the 'A Bus Stop to Stop AIDS! NACO' entry. In the 'Green Initiative' sub-category, two golds were given away - one to Tribes Communication for the 'Magic Bag - Magic Bricks Reality Services Limited' entry and the other to Vodafone India for the 'Vodafone World First Rainwater Harvesting Billboard Vodafone' entry. In the 'Activation' sub-category, the gold went to DDB Mudra Group for the 'Azar - E - Mecca Western Union Money Transfer' entry, and two silvers were given away - one to DDB Mudra Group for the 'Half Autobiographies Inorbit Malls India' entry, and the other to Vritti Solutions for the 'Navratna Oil - Sukun ka Safar at Ujjain Kumbh Mela Emami' entry. Ecosys OOH won silver for the 'Ola Cabs - The Real Time Billboard - Ola Cabs' entry in the 'Digital OOH' sub-category, while the bronze went to Active Media for 'Channel V D4 Augmented Reality Dance Engagement Channel V' entry. In the 'International' category, Omincom Media Group Taiwan won the silver for the 'McDonald's Bao Bao APP Train McDonald's' entry and Kinetic Worldwide won the Bronze for the 'Swatch Group Calvin Klein Valentine's Day Calvin Klein' entry. In the 'Media Owners' Special Categories', JCDecaux won the gold for the '#TheBestSign Standard Chartered Bank - Standard Chartered Bank' entry in the 'Best Format Innovation' sub-category. Two bronze metals were given away - to Atin Promotions & Publicity for the 'Gionee inflight announcement - Gionee India entry, and to Atin Promotions for the Tata Hexa Power Pull - Tata Motors - Hexa' entry. TIM Delhi Airport Advertising won the gold in the 'Zonal Media Owner of the Year - North' sub-category, and two silvers were awarded - one to Jagran Engage and the other to Vritti Solutions. In the 'Zonal Media Owner of the Year - South' sub-category, Prakash Arts won the silver while Uni Ads won a bronze. 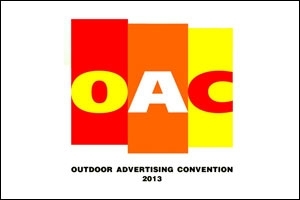 In the 'Zonal Media Owner of the Year - East' sub-category, Outreach Advertising won a silver. Times OOH and Atin Promotions & Advertising, each won silver in the 'Zonal Media Owner of the Year - National' sub-category. The 'Printer of the Year' sub-category had three winners - Macromedia Digital Imaging, Pacific Media and Printech Digital Imaging - with each being awarded silver.